Have you ever wondered how the number is derived that makes up your mortgage rate? Why is your mortgage rate 4.5%? 5.25%? 3%? Mortgage rates are born from bonds and the mortgage-backed securities (MBS) markets. Similar to corporate bonds and the stock market, mortgage-backed bonds trade actively every day. Pricing changes constantly. Rates change constantly. Your mortgage rate is a moving target until you lock it. Feeling lucky? So, if the mortgage backed securities market is actively traded, what moves the market? The most important characteristic of the bond and mortgage backed securities (MBS) markets are that they are generally classified as “safe haven” markets. Investors, both domestic and abroad, prefer to ride out turbulent economic times by moving their money from more volatile equities markets to safer investment plays like bonds and MBS. In short, economic turmoil – or lack thereof – is often a key driver to what your mortgage rate will be. July has had no shortage of economic turmoil. Starting with some weaker than expected domestic numbers and progressing to major trouble in both Greece and China, the events that unfolded in the first week of July have been significant when it comes to your mortgage rate. On Thursday, the Bureau of Labor Statistics released the June Non-Farm Payrolls report which showed weaker-than-expected job growth last month, plus large downward revisions to the number of net new jobs created in April and May. Wage growth was weak as well. Because weak job growth may indicate a slowing U.S. economy, investors poured into the relative safety of the bond market. Mortgage rates improved significantly that day. 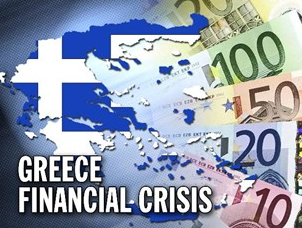 Then, during the weekend, the citizens of Greece voted to reject the austerity measures which would have granted the nation-state the bailout funds needed to stay afloat. The uncertainty surrounding Greece has sparked a bout of safe-haven buying, pushing more investors toward U.S. government-backed bonds which are generally considered among the safest asset classes in the world. In China, the Shanghai Index has lost one-third of its value in the last 4 weeks, even as regulators work to slow the rout. Trillions of dollars in wealth have been lost as investors scramble for the exits — if they can even find them! More than 40% of stocks on the exchange are “frozen”, unable to trade. Money that can leave the Chinese market is also making its way to safer destinations — yet another reason why 30-year mortgage rates dipped. Investors of the world need somewhere safe to park their assets. They do what safe haven investors do; they moved their assets to America. More specifically, to the US bond and mortgage backed securities markets. Whenever investor dollars run for cover to the credit markets, interest rates are pushed lower. That’s how the credit markets supply and demand mechanics work, lots of demand pushes the price of limited supply higher and yields fall. For scoring purposes, lower yields mean lower rates. Mortgage rates begin the long ride up. Unless, of course, a new disaster emerges that threatens global markets. Regardless, banking on global turmoil is not a reasonable strategy when it comes to getting the best mortgage rate available. Rates are going up, they will continue to go up too. The best way to ensure you get the best available rate is to align yourself with a loan officer that closely tracks the mortgage backed security market and monitors the daily economic data offered up by the Fed and other global organizations. We at Arcus Lending, do exactly that. Even then, timing the market is difficult at best. The world is an uncertain place and people are equally unpredictable. Do what you can do, get a good loan officer. Then cross your fingers.